There are times in life when we encounter a person, an object or an event that we feel we were meant to have in our lives for whatever reason. There’s a pull or an attraction that brings us together and then we have those moments when we realize it was meant to be, that there is something we were meant to learn from this encounter. The Found Recipe Box has proven that to me time and time again. Even after all these months away, as soon as I started to bake my most recent creation, there it was, staring me right in the face just as it had so many times before: a life lesson. It has been hard to find balance in my life lately. Working full-time, raising a toddler and trying to maintain a life of my own where I’m a wife, a friend and an individual can be exhausting and frustrating. I put a lot of pressure on myself to do my best in whatever role I’m playing and there are many days where I feel spread too thin and as if I’m just not living up to my own expectations. I’ve been determined to work on this blog, but then after a full day am left with no energy and feel defeated that yet another day has gone by without a post. I was disgusted when I logged on and saw the date of my last post. But, in the midst of these moments, I was delivered a wakeup call. Of course, at the moment, it didn’t feel like that at all and it wasn’t until I had time later to reflect on the course of events did I realize that that’s what I received. In fact, it was while I was baking that I made the revelation. But let me take a step back and first explain what happened. December was a rough month for our family. It actually began much earlier than that, but it all seemed to culminate in one tragic week of December. Last July, I discovered a tumor on our chinchilla Chico. He went in to have it removed, but the pathology report came back and revealed that he had an aggressive form of cancer. There wasn’t much we could do, it was just a matter of time and we were told to enjoy the time we had left. And we ended up getting a lot more of it than we ever expected. He didn’t start to decline until October, right around the same time that my daughter, Lucy, was gearing up for Halloween. She is in love with superheroes and decided that for Halloween, she would be Batman and our dog, Murphy, would be Robin. But she didn’t stop there. Once we realized that Chico was succumbing to the cancer, she decided that she needed to recruit him for her Justice League and asked me to make him a cape. I would say that I don’t believe she made the connection that Chico was dying and that the timing of her request was pure coincidence, but even at two, she was amazingly intuitive and she is so connected to our animals that she just might have been in tune with him enough to know that he needed all the help he could get. So I pulled out the sewing machine and created a Superman cape for the chinchilla, never expecting that he’d live long enough to see Halloween. Except that he did. He refused to wear his cape so we hung it on the side of his cage, but he was there to help Lucy celebrate her favorite day of the year and to round out her superhero trifecta. Not only did he live to see Halloween, but we were even able to give thanks that he was still with us for Thanksgiving. That, however, was when our luck began to wear out. Just before Thanksgiving, I discovered a lump in Murphy’s armpit. After dealing with Chico’s cancer, I wasn’t taking any chances and took him straight to the vet, who felt that it was just a fatty cyst, but that we should remove it to be safe. So we scheduled his surgery for the Monday after Thanksgiving. And that’s when our tragic week began. Monday morning, Murphy went in for surgery. Chico wasn’t doing well and had become very lethargic. So while Murphy was at the vet, I brought him over to my desk (I’m incredibly lucky to have a job now where I work from home) and he sat next to me while I worked. I knew he wasn’t doing well because that never should have been possible. But I took advantage of the opportunity to be close to him and made sure he was comfortable. That afternoon I got the call from the vet, everything went well and the doctor felt that he had gotten everything. When I went to pick him up, Murphy was groggy, but very happy to be going home. Tuesday morning, I had to make the very difficult decision to put Chico down. It was glaringly apparent that it was time and I needed to let him go. It was excruciating and I had no idea how I was going to explain it to Lucy. His vet told me that she’d never understand and it would be O.K., but I knew my daughter better than that and knew she’d feel this pain almost as much as I would. What I didn’t realize was that Murphy would feel it too. After Chico’s passing, Murphy didn’t go back into the room where the chinchilla lived for over a month. I had no idea he felt so close to Chico, but he obviously felt the hole in our family as much as the rest of us. And I was right about Lucy. Every day (to this day), she asks for him. In fact, two weeks after he died, she was dragging a suitcase through the house. When I asked where she was going, she replied, “to the doctor to get Chico, he’s been there too long.” I had to walk out of the room; I had no idea what to say. All I could do was agree with her and turn away before she saw the tears began to spill. This picture is a little blurry, but it was too sweet to leave out. During this time, I had forgotten about Murphy’s surgery. I was convinced by the doctor’s belief that his lump was just a fatty cyst and devoted my energy to grieving for my friend instead. But that Friday afternoon, I received a call that would force me to focus my energy in an entirely different direction. When the vet called, I could tell immediately by the tone of his voice that something was wrong. His lump wasn’t a fatty cyst, it was something much more sinister: cancer. He repeated several times that he never imagined that outcome. Neither had I. The one piece of good news is that the type of tumor he had typically presents on the heart or spleen and you never know the dog has one until it ruptures, they bleed out and die. By some miracle, Murphy’s was in his armpit where I could feel it and have it removed. Our vet referred us to the Oncology Department at the University of Minnesota Veterinary Medical Center. They did a full workup on his blood as well as scans on his internal organs to ensure the cancer hadn’t spread. Just before Christmas, we received our second miracle: the cancer hadn’t spread. However, since the tumor was located in his blood vessels, the doctors told us that without treatment it was likely the cancer would return in six months. So in January, Murphy began a low-dose daily chemo treatment that will last for one year. He just takes a pill every day, which he loves because we administer it in a hot dog, and so far, so good. He just had his blood levels tested and everything looks great. He’s in good spirits, besides being frustrated by the horribly cold winter weather (like the rest of us), and you’d never know he’d been through this trying ordeal. There are a lot of people all over the country who have been sending their love and prayers to Murphy so to keep everyone informed of his progress, I started a blog to chronicle his cancer journey. To read more of his story, please visit: www.batlucyandrobinmurphy.wordpress.com. When we’re in the middle of these situations, we don’t have the capacity for clarity. Instead, I was angry, sad, scared, frustrated, exhausted, etc… I didn’t see this as a life lesson. Not yet. It took a little piece of paper from The Found Recipe Box to show me that. When I started this project, I never imagined how much it would come to mean to me and what an integral part of my life it would become. I never thought that all those little scraps of paper and index cards written by complete strangers would teach me so much. But I feel like every time I pull one from the box, a lesson comes attached to it. And this was no exception. January 23rd was National Pie Day and I knew exactly which pie I was going to make. One of the first recipes I posted to the blog was for Black Bottom Pie and when I wrote the post it was dedicated to Murphy (only that was for his “talent” for digging holes in my backyard). This time, I wanted to post a dedication to him in honor of his heroic fight. I began to arrange the ingredients on the counter – some, like gelatin, were things I had never worked with before this project. I pulled out the beautiful red ceramic pie dish I bought for the first pie I ever made from the box. I was overwhelmed with nostalgia and a sense of feeling “at home.” I didn’t realize how much I missed this process, these cards, and the stories. It all came together and just felt right. After properly cuddling my best friend, I returned to my mixture. And after some coaxing, it finally transformed into what I believe a proper Black Bottom Pie should resemble. I poured the mixture into the prepared pie shell and returned it to the fridge to set. When I cut the first piece to take pictures and sample my creation, I remembered the hard learned lesson and took time with the pie. I didn’t devour it, even though it was a tantalizing concoction of sweet, but bitter chocolate and homemade whipped cream. I let the fork rest gently on my tongue and slowly pulled the bite into my mouth, where I lingered on the flavors until each had been properly enjoyed. And even now, as I write this, I knew I had to devote my attention so that I could do Murphy, the pie and the lesson justice. The writing has always been my favorite part, so I have made sure to savor it, just as I did that decadent piece of pie. I’m not sure how regularly I’ll be able to post, but I am going to make a concerted effort to try to find more moments to dedicate to this project. I miss it too much when I’m away and we need to treasure those things that make us feel like we’re “home.” I apologize for the length of this post, I didn’t realize how much had been percolating inside of me, waiting to be spread across the page. If you made it this far, I appreciate you taking the time to read it and I hope you enjoyed it as much as I did. Now, go and do something for yourself, find a cherished activity or person or place and savor it. Don’t let those moments go. Grab onto them and hold them inside of you so that you’ll never be without them. 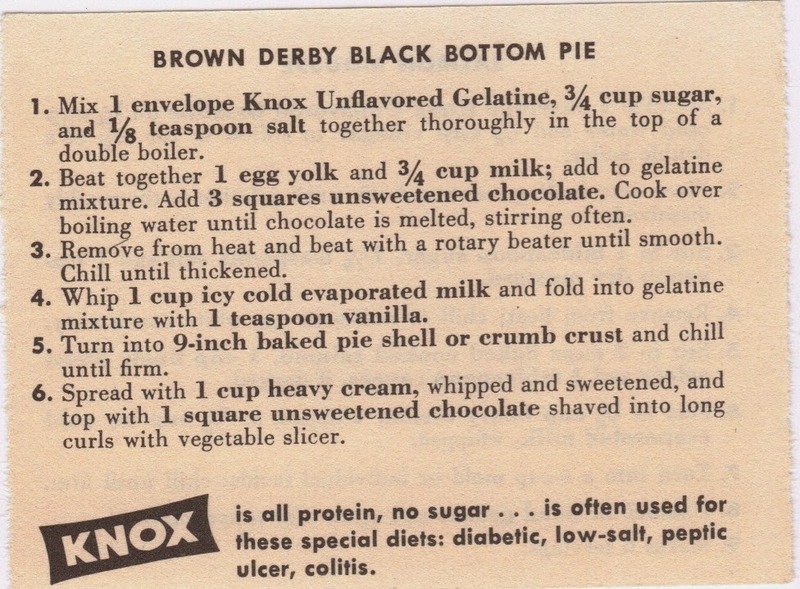 And if you make this pie, I recommend letting the first bite sit on your tongue for a moment. Take the time to enjoy it. Trust me, it’s worth the wait.